Whilst I don't have one favourite, I often find that I am drawn to books with covers that are bright and colourful. Of course, that isn't the only thing that I look for, but I do enjoy looking at book covers a lot! Colours also play an important role in many stories, as they are often used to describe surroundings, and even emotions. For example, in the book I review in this post, The Summer Seaside Kitchen, set for the most part in Scotland, the lush green surroundings, the long, light-filled days, and the beautiful blue oceans are depicted in great detail, and add a special element to the story. And now, onto my review..
Flora MacKenzie is a single 26 year-old woman, who, although successful in her career as a paralegal, sadly doesn't have the same fortune in love. She has a crush on her lawyer boss, Joel Binder, but unfortunately, he barely acknowledges her existence. Flora has a Scottish background but currently works in London after leaving her hometown of Mure a couple of years earlier following the death of her mother. Joel originally hails from America, and when a fellow American client named Colton Rogers needs his assistance regarding the opposition of wind farms in Mure where he is currently restoring a popular landmark, he asks Joel for someone in his department with a Scottish background to help out his deal. Joel sees that Flora is the obvious choice, and appoints her as the candidate. Flora is hesitant to return to her hometown, but eventually agrees to take the job. She returns home to her brothers, Innes (who has an adorable young daughter named Agot), Fintan, and Hamish, and her father Eck. Flora is shocked to see that the men have let not only the house, but their health, go downhill. She sets about fixing up the home and upon doing so, she comes across her mother's old recipe book. She creates some of the dishes that her mother used to prepare for them all, and they are reminded of the many joyous memories they shared with their mother. Even Eck, a man of few words, appreciates Flora's culinary skills. When Colton is given the opportunity to sample her food, he is so taken by it that he requests Flora to prepare food to sell at another premises that he owns, which is currently vacant. Flora opens up 'The Summer Seaside Kitchen', which proves to be hugely popular amongst the locals and tourists alike. Despite its success, Flora vows that the shop will only be opened temporarily as she plans on returning to London. But as family secrets are revealed, and local man Charlie begins to show his interest for Flora, her plans may be foiled yet.. This is a delightful story that I thoroughly enjoyed, particularly as I have been reading some fairly dark novels lately, and this was so refreshing. The way in which the author describes the settings of Mure made me feel as though I was right there too. With lovely characters and a charming storyline, this book ticked a lot of boxes for me. I also adored the recipes that Jenny shares as the end of the book. They sound very tempting indeed! What attracts you to a book? Is it the cover, the author, or the description? Or perhaps a combination? 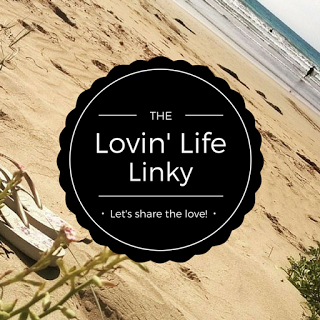 Just a quick reminder that if you haven't already done so, you can enter my giveaway here. There's 3 children's books up for grabs! But hurry as it ends tonight! 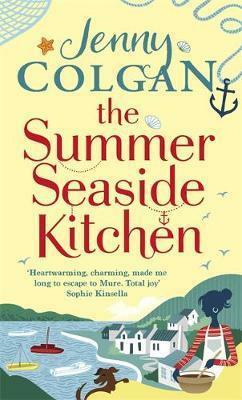 Disclaimer: I was given an ARC of The Summer Seaside Kitchen through Netgalley in exchange for an honest review. All opinions are my own, and not influenced in any way. I have not been paid for this review. I'm attracted to light stories that make me feel good. Cover helps, but it's the description that really draws me in. I really enjoy novels like this one. I like to be swept up in a tale and then being able to physically create the recipes. Oooh sounds interesting! Lots of real Scottish names there too! This sounds like a really feel good book. I'm definitely attracted to book covers and the blurb on the back. I often go on recommendation too.